** GMP 마크가 품질을 보증 합니다. 특히 유방 이나 전립선, 또는 생식기관 의 건강을 유지하여 줍니다. 또한 I-3-C 는 간해독 과정에 도움을 주어 역시 정상적인 호르몬 균형을 잡아줍니다. in cruciferous vegetables such as cabbage, broccoli, and kale. 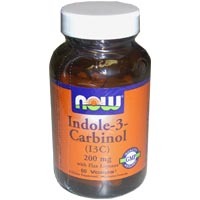 may support the health of the breast, prostate, and other reproductive organs. Other Ingredients: Cellulose (capsule), Rice Bran, Magnesium Stearate (vegetable source) and Silica. Vegetarian Formula. LinumLife™ Complex is a trademark of Acatris Inc.